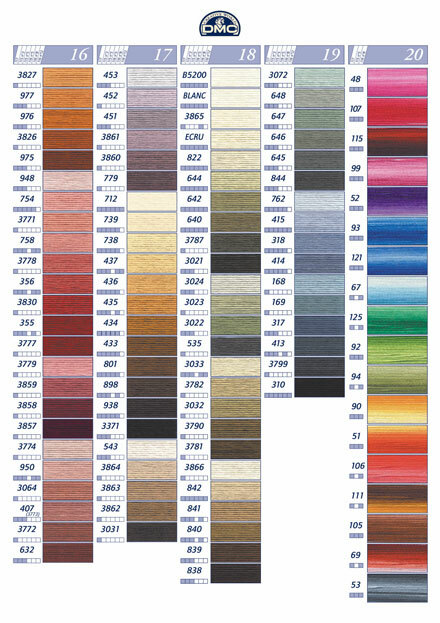 DMC is one of the world's biggest suppliers of embroidery floss, with their DMC Mouliné Stranded Cotton to be the most popular and widely used throughout the world. 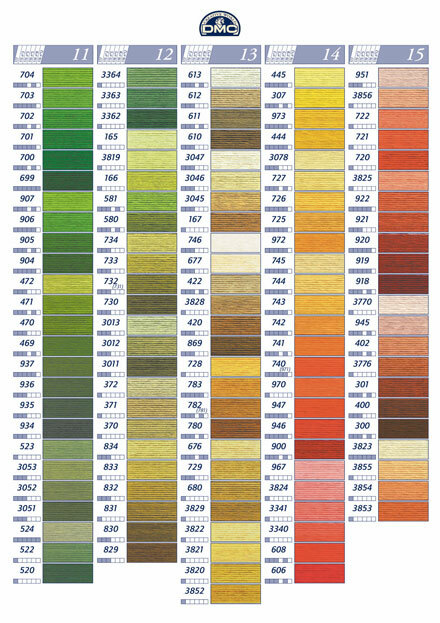 They can offer an extensive choice of over 450 different colours. 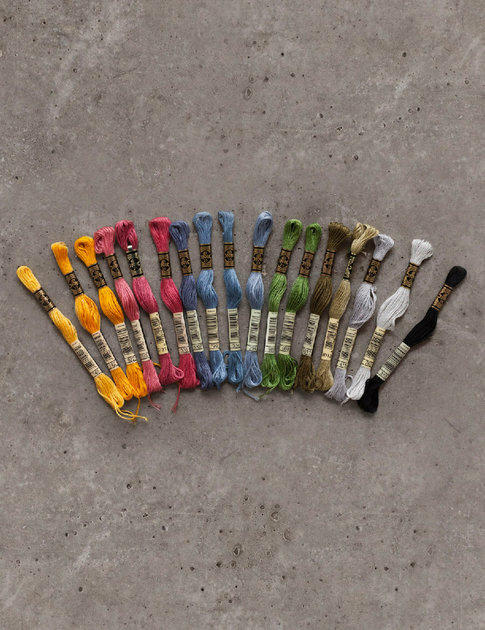 We sell DMC mouliné embroidery floss on skeins, where one skein consists of 8 meters of floss. Comprised of 6 easily separable strands, you can vary your stitching results, depending on the number of strands used. Each color has a color number code. Look in the four color maps and find the right color code. 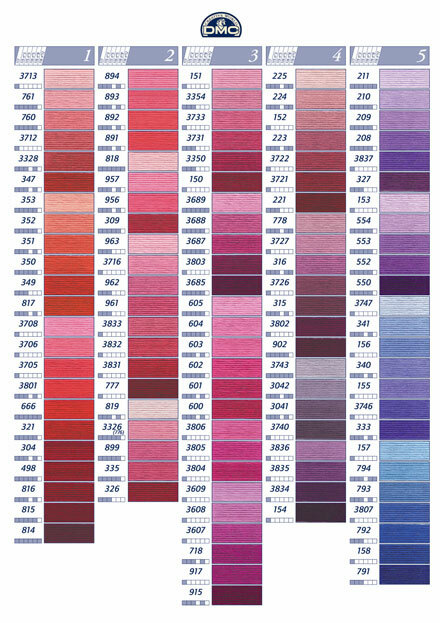 To purchase, select the color code in the list below and select the number of skein you want to order. 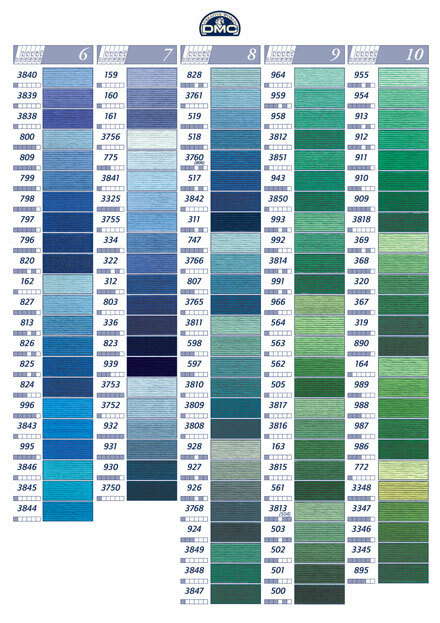 Please note that the resolution of your computer screen can slightly distort the color shades of the threads.